The Undercity, a collection of buried buildings and natural caverns, is home to those shunned by the city above. One such group is the Half Moon thieves' guild. 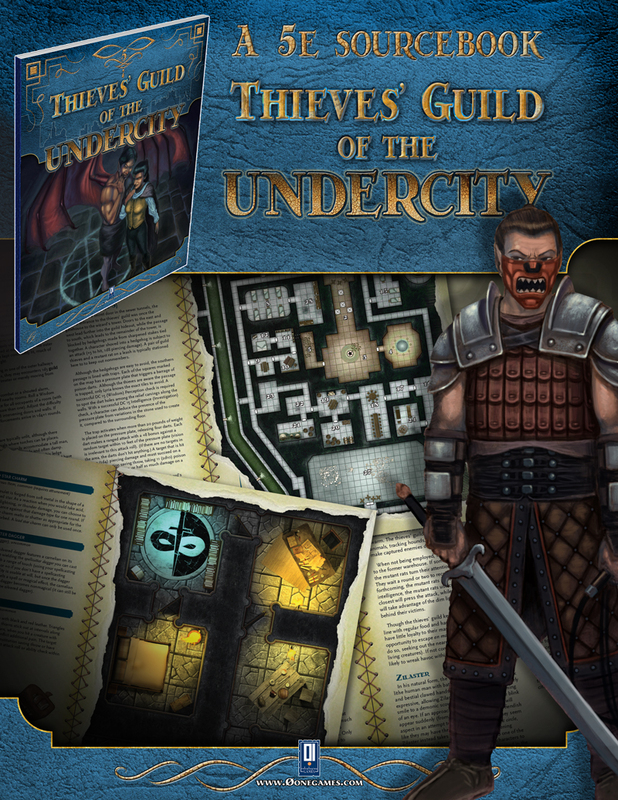 Once a loose affiliation of pickpockets and burglars, under their most recent leader (and her secret fiendish mentor) the guild has become an organized crime syndicate with interests from the slums to the halls of power. Whether the PCs want to join the guild or destroy it, they will have to make their way to its headquarters in The Undercity, where the thieves brew illicit alcohol and breed mutant rats. • A set of adventure ideas to plug-in the sourcebook in your campaing. The statblock provided in this sourcebook are for four characters of 4th level in the Fifth Edition of the world’s oldest roleplaying game. By changing the statblocks it can be easily adapted to higher levels.